#BlackComicsMonth – Celebrating Black Creators! I hadn’t heard of Milestone Media either, so I went and checked it out. It was founded in 1993 by a coalition of black artists and writers: Dwayne McDuffie, Denys Cowan, Michael Davis and Derek T. Dingle. They were published by DC Comics, and at that time, it was unheard of to get a publishing/distribution deal with them. Their first series were Hardware, Icon, Blood Syndicate, and Static. A reboot is likely, with involvement from the two surviving founders Denys and Derek. They hope to have new stuff to show off at Comic Con this year! You should explore the official #BlackComicsMonth website here. It will give you a LOT of new comics to read that you might not be aware of, as well as tons of interviews with creators. 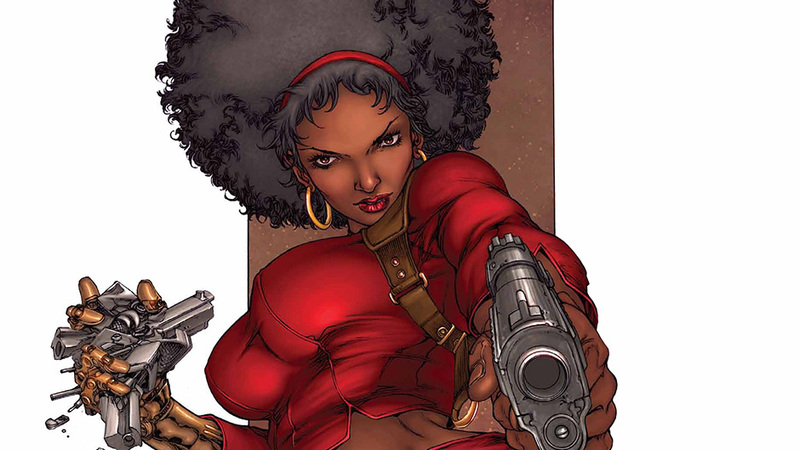 Aspen Comics has also been shining the spotlight on black comic creators all month. Also check out Misha’s profile of Jackie Ormes here. Who are your favorite black comic creators and black comic book characters? Let us know in the comments!